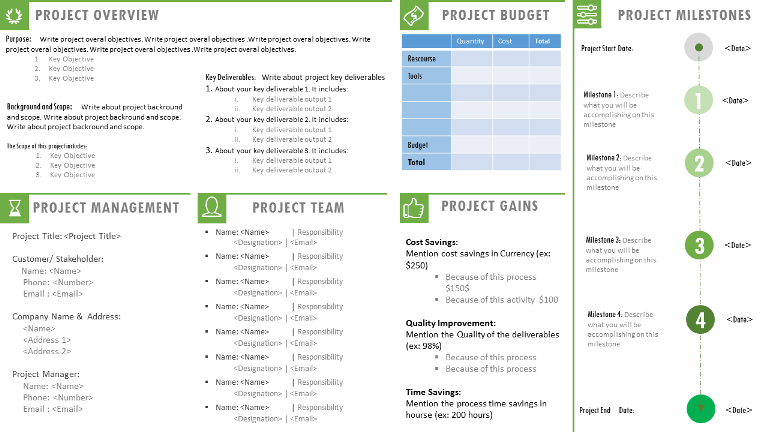 Project Charter Template PPT is Project Management template. 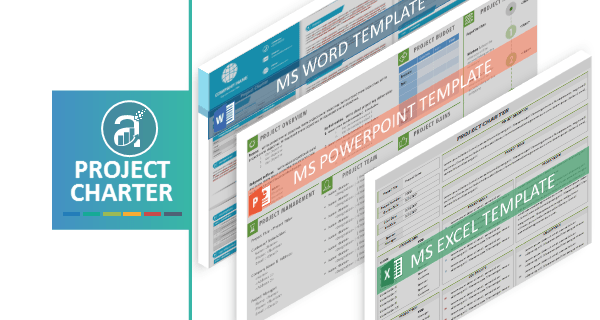 It helps you to effectively prepare Charter for your Projects using Microsoft PowerPoint. You can download and open the ppt file to easily create Charter. Using this Templates, you can make a PowerPoint Presentation with in no time. 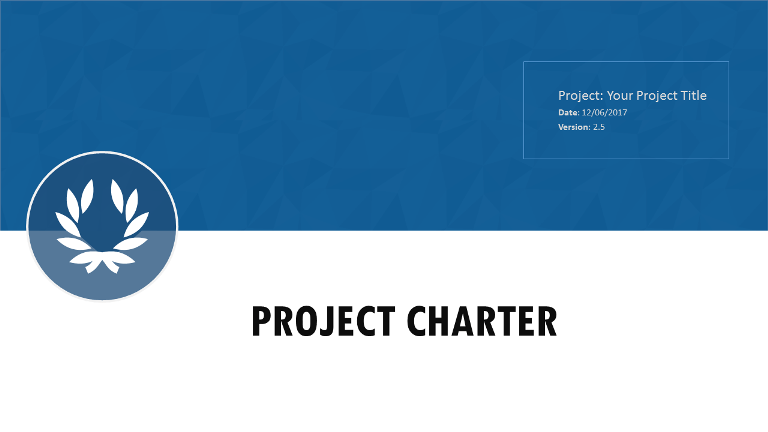 You can create a charter with high level Project information. 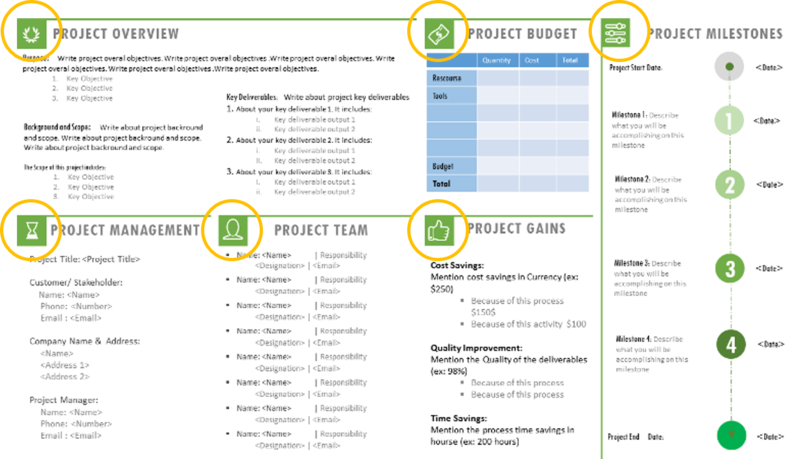 You can add Project Overview, Project Milestones, Budget, Riasks, Management Team, Task Team and Project Gains in the Presentation. Here are the important metrics and information we must include while preparing the Charter for any Project. 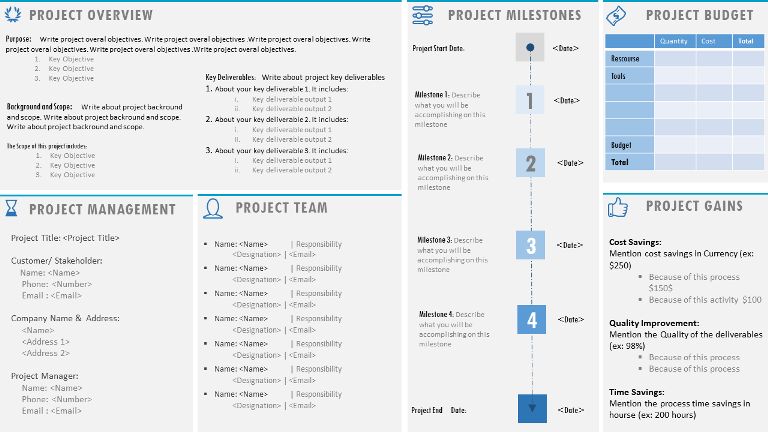 Project Overview: the first and most important information required in the Project Charter. We should start our project charter with Project Purpose, Background, scope and key deliverable of the project. Project Budget: We must specify the Resource and Other tools and software cost to deliver the Project outputs. Project and Stakeholder Details: We need to provide immediate contacts of the Project Development and Stakeholder communication details. Project Team: We also need to mention the Each member of the Project Team, including their roles and email details. Project Milestones: We must specify the overall status of the project and key milestones. We also include the start and end date of each milestone. Project Gains: We also address the project gains by including the key metrics mentioned below. Risks and Other Important Element: We can specify all other imprtant information like Project Risks, Constraints and Assumptions. 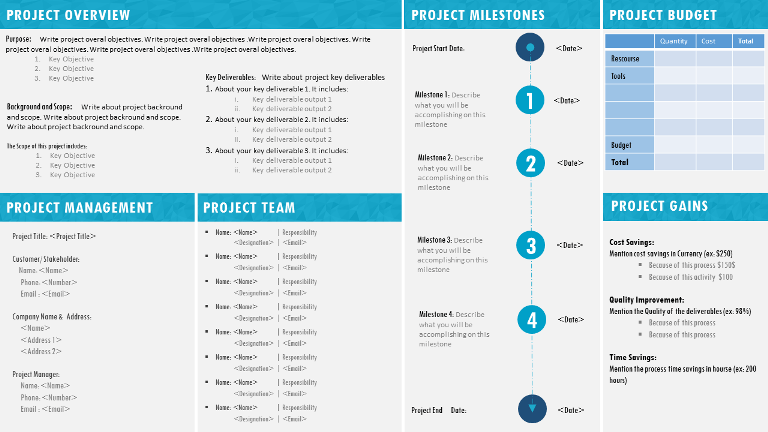 We have created one page Project charter template for capturing all the related information in one slide. Here are the main objects in the one page charter.